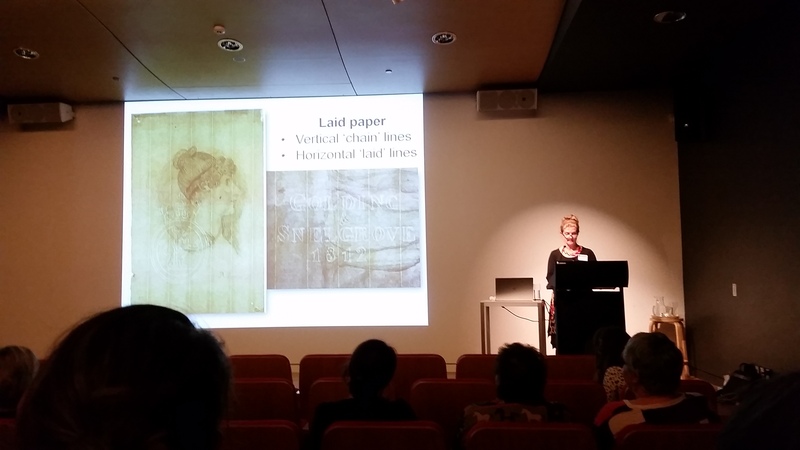 This year’s NZCCM (New Zealand Conservators of Cultural Material) Conference was held at the Auckland Art Gallery on 24 – 26 October and took the theme ‘Living Heritage: Materials, Methods and Context’. At NZMS we often work with conservators and have first-hand experience of the care and knowledge they give to the cultural heritage sector. 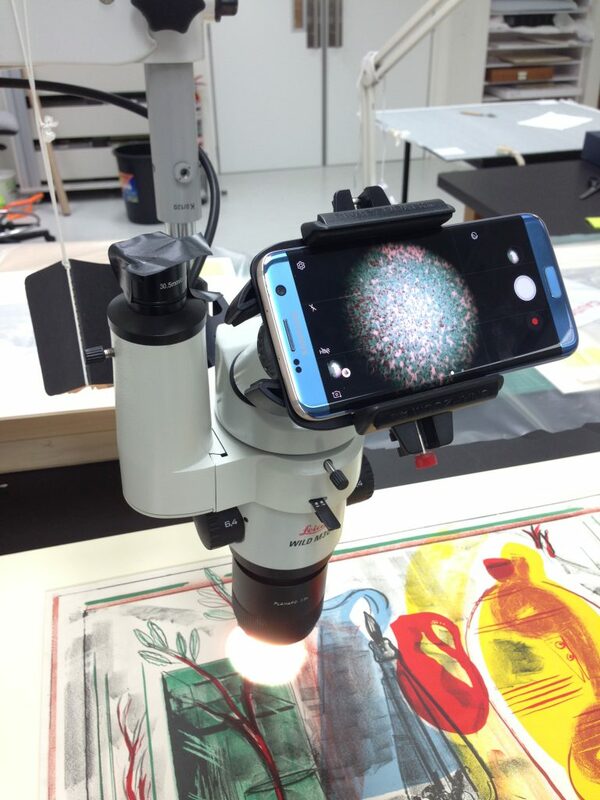 It is very important for our technicians to understand the material they are capturing, and the risks involved at each stage of handling and so we often lean on their expertise and recommendations for handling cultural heritage material whilst we are digitising. Our presence at the NZCCM conference is always an interesting learning opportunity for our staff to grow their knowledge of caring for and handling the different kinds of cultural heritage material. Our Auckland team enjoyed attending the sessions at the Conference and Alison was especially intrigued by Auckland Art Gallery’s Paper Conservator Camilla Baskcomb’s discussion of the sleuthing she’d undertaken to determine authenticity of artworks based on the paper makers’ watermarks in her talk “Artworks Can Be Deceiving: Taking a Closer Look”, especially one mystery solved jointly between Camilla and her sister Candida Baskcomb who is a Paper Conservator in Australia. The mystery involved a watercolour painting signed by a particular artist. Conservation treatment revealed a watermark dating the paper to 5 years after the death of the artist. This news was not welcomed by Candida’s client who knew the evidence would devalue the painting. Camilla also touched on the wide variety of different printing techniques that have evolved and how some modern practices create such authentic-looking works that it can be increasingly easy to mistake a print for an original piece. Camilla’s presentation was an encouragement to conference participants to always take a second look and not to make assumptions. She emphasised the importance of corroborating evidence by looking at supporting primary historical information and enlisting the help of other professionals where possible. Although she recognised that busy conservation studios may not be able to put much extra time aside for research, she highlighted the value of a combination of a little extra investigation coupled with hands-on experience. Ingrid Ford talked about the work she and others undertook conserving the 1884 Frederick Goodall painting ‘Flight into Egypt’, which hangs at the Sarjeant Gallery in Whanganui. In her talk teasingly subtitled “Why You Shouldn’t Throw Water Over Paintings”, she explained that the condition of the paint was a clue to a disaster of some sort and subsequent investigation turned up information about a fire in the artist’s studio during which a neighbour saved ‘Flight into Egypt’ by throwing buckets of water over it. 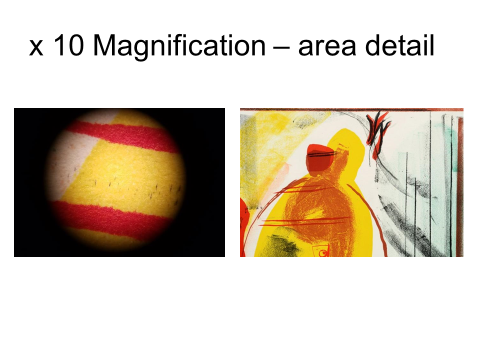 The painting survived but water damage to the paint substrates has been an ongoing challenge, as has the size of the work vis-à-vis spaces at the Gallery. Alison also tells us it was good to hear more from Auckland Libraries Conservator Damen Joe who described his relationship with the Library’s box cutter in his talk “Auto-Box-O-Matic or: How I learned to Stop Worrying and Love the Robot”. Alison recalled participating in a workshop Damen held some years ago where he’d taught attendees how to create heavy card display mounts for books, including how to find and measure the angle of opening that would cause the least stress on a book’s spine over the duration of an exhibition. Damen had even written an algorithm that produced the box plan based on these measurements. Around that time, it seemed as if Damen’s role involved a lot of custom and manual box making – either for display or proper book enclosures. With the arrival of the Library’s box cutter, Damen explained that this has all changed and he has been freed up to concentrate more on other preservation activities. 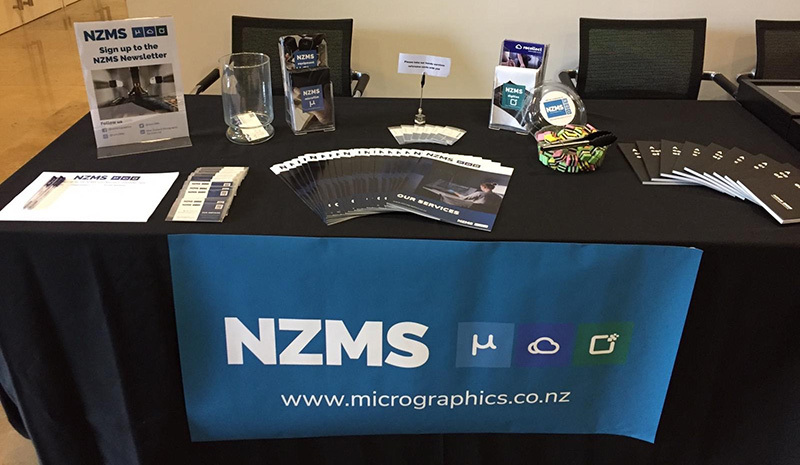 We also exhibited at the NZCCM Conference and had a table full of goodies for this passionate group of conservators. To find out more about the NZCCM organisation see their website here.